I’ve been coming down to Los Cabos, at the very southern tip of the Baja California, since 2003. It started off just as one week a year to escape the Idaho winter while I was still working. A few years later, it grew to two weeks a year, and now it varies between three and six weeks a year. 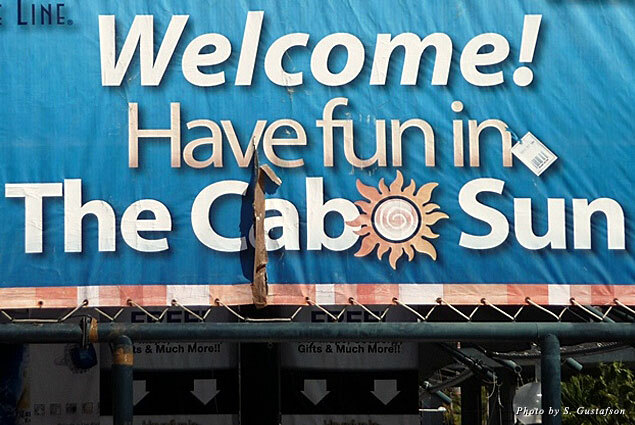 Like most Cabo newbies, we initially spent the majority of our time in Cabo San Lucas, where you can find such hangouts as Sammy Hagar’s Cabo Wabo, a Hard Rock Café, Medano Beach, and of, course, the famous Arch. Those are all interesting places where you can visit and hang out with friends, but the real treasures of Los Cabos aren’t always on the main streets. No matter how many times I come to Los Cabos, I spend almost every Thursday evening in San José del Cabo strolling through the art district as part of the weekly Art Walk. From 5 to 9 p.m. each Thursday from November through June, the art galleries keep their doors wide open to greet art lovers and those who just enjoy beauty. 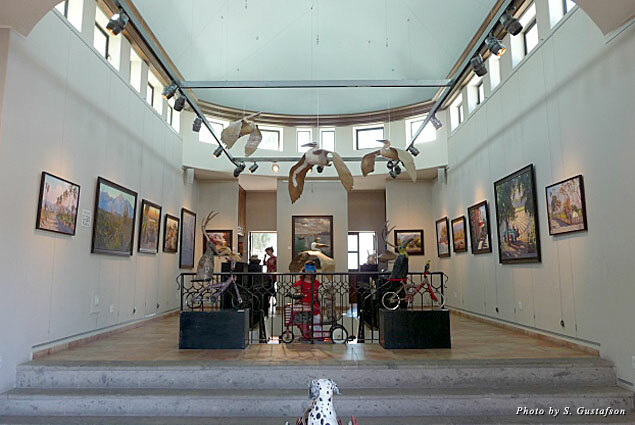 Some galleries hold special events during Art Walk, and some will offer you a glass of wine. What they all provide is a casual ambiance where you’re with others who want to do something besides sitting on the beach or bar hopping, all in a friendly and non-intimidating atmosphere. There are numerous restaurants in the area adjacent to the art district and the main town square that are eager to provide tempting meals and beverages—something you’ll undoubtedly want to partake in after walking around for a couple hours or more. In addition to traditional art of paintings and sculptures, many of the galleries and neighboring shops have Mexican fire opals in stunning settings as well as some souvenirs and artifacts that will make great gifts for your friends who weren’t able to come to Cabo with you. 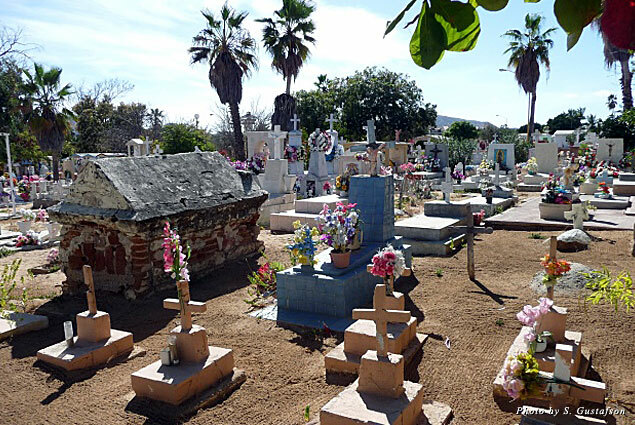 Hidden behind a six-foot brick and concrete wall is a massive array of graves and headstones and ornate monuments to loved ones in this large panteón (cemetery). For most of the year, a few visitors stroll through here as I’ve done on occasion to marvel at the variety of memorials to family members. Graves range from a small mound of dirt with a hand-made cross to fenced-in grass with an engraved headstone, all the way up to elaborate mini-mausoleums with photos and jewelry and a place for people to gather and remember. While these sacred grounds are rather quiet most of the year, they come alive with bustling activity for Día de los Muertos (Day of the Dead), which is actually over two days, November 1st and 2nd. Family members and friends bring supplies to wash the surfaces as a way of showing respect and honor. And it’s not always a somber occasion; there’s food and drink, and, of course, music—this is their way of celebrating the memories and the good times of those who’ve departed this earthly platform that we call life. The bus stop cover and bench at KM 12.6 on both sides along the Carretera Transpeninsular (the road connecting San José del Cabo and Cabo San Lucas) are your main indications that you’ve reached Playa Santa Maria. There is one small road sign, but that’s easy to miss, so it’s best to watch for the markers along the side of the road. As you drive down the dusty road to the parking area, you start to get the idea that this isn’t one of those highly developed beach areas, and you’re right. But once you step out of your car and walk along the rough, pebbly sand to reach the water, your reward is waiting for you. Your hardest decisions are going to be where to put your towel and what you photograph first. The magnificent, shallow U-shaped bay has excellent snorkeling with abundant and beautiful sea life. Wander among the rock outcroppings to view the variety of activity in the tidal pools—sea urchins, small fish, barnacles, and sideways walking crabs. The area is typically quiet except for the sound of the gentle waves breaking on the sandy shore. 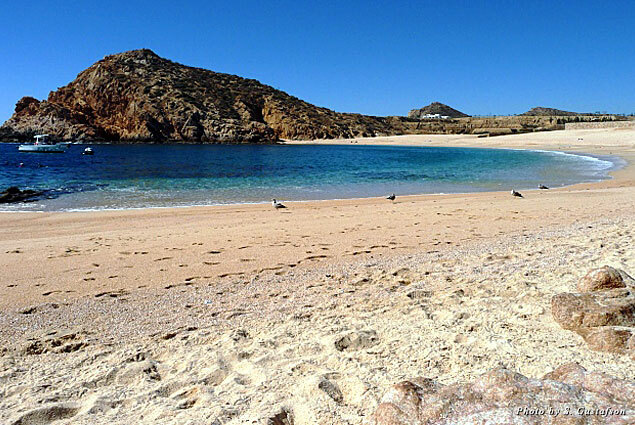 Playa Santa Maria (playa means beach in Spanish) is also a popular place for snorkeling boats, so your best time is mid-morning or mid- to late-afternoon. Wear sturdy shoes or reef sandals as the sand is very coarse, plus you don’t want to walk on the rocks with your bare feet. Bring plenty of sunscreen and drinking water as there are no convenience stores close by. We were walking down one of the dirt streets north of the marina in Cabo San Lucas when a man hailed us and prompted us to go inside and have lunch. This part of town was relatively new to us, and we’d not been inside El Pollo de Oro (the Chicken of Gold, or simply, Golden Chicken) before. We were warm from walking, and we were a little bit hungry so we thought, why not? As we stepped inside the open-air restaurant, the smells of the chickens on the rotisserie infiltrated our nostrils with pure delight. The chicken plates (quarter-, half-, or full-chicken) are absolutely mouthwatering, and the assortment of cold drinks (soda, lemonade, beer, margarita, etc.) will quench any thirst. We’ve been back to El Pollo de Oro every year since that first encounter, and it’s nice to see more gringos have now found out about it. We’ve even stopped in to pick up a rack of ribs and a carton of beans to take back to the condo. El Pollo de Oro is not hidden down some dark alleyway, but you have to know where it is to find it as it’s off the main drag. 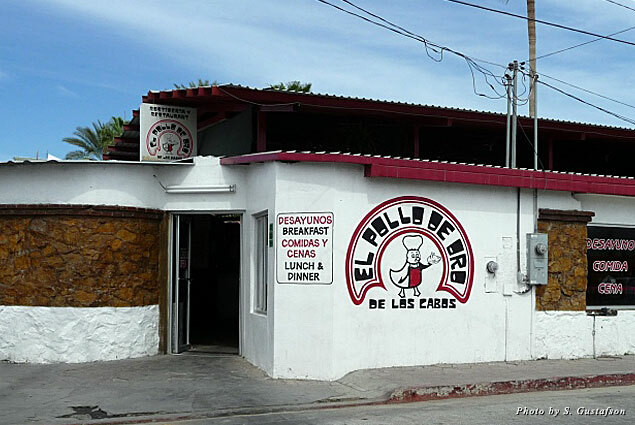 It’s at the corner of Morelos and 20 de Noviembre (about three blocks north of Plaza Paraiso) and is open from 8 a.m. to 10 p.m. Wednesday through Monday. 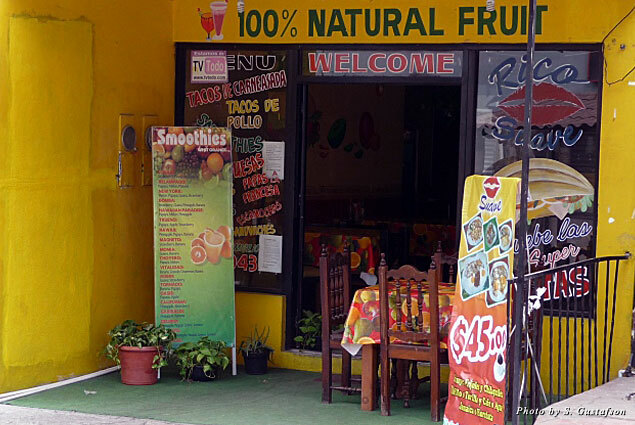 Rico Suave, home of 100-percent natural fruit smoothies, isn’t easy to find the first time you’re looking for it. But once you’ve found it, you’ll know where to go back to time and time again, as there are so many different combinations. If you want more than just a great refreshing beverage, the juice bar also serves breakfast dishes (eggs, burritos, omelets) and luncheon items (hamburgers, salads, tortas, and other sandwiches). Located on the main drag in Cabo San Lucas (Lázaro Cárdenas), Rico Suave is just past the corner of Vincente Guerrero. Parking isn’t that easy to find on the main street, so you might have to turn on a side street. If you’re staying right in town, parking shouldn’t be a problem as you’re going to be walking anyway. There are about five tables inside and one or two outside, and I’ve seen them serve quite a few take-away customers who grab something on their way to work or on a quick work break. They also make home/hotel deliveries by calling 143 10 43. Rico Suave is open seven days a week from 9 a.m. to 5:30 p.m. The marina in Cabo San Lucas can get quite busy, especially when cruise ships are docked in the harbor. This means there are lots of hawkers wanting to take you on a water taxi, sell you cigars, or hook you into a timeshare presentation. 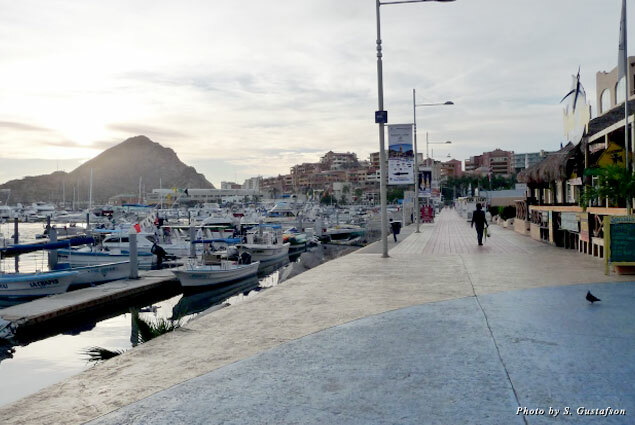 A beautiful and invigorating way to begin your day is to go for a walk along the marina right after sunrise; you’ll have the walkway mostly to yourself and the low-in-the-sky sun is still pleasant to enjoy. Along your stroll, you’ll encounter a few joggers and one or two vigorous walkers, but you’ll also see people like you who are just enjoying the peaceful beauty of the area. It’s a great way to begin your day, any day, in this piece of paradise whose motto is “No Bad Days.” As you return to your room, you’ll feel invigorated by the fresh air, the walk, and the peacefulness that disappears later in the day. A fitting end to this article is a view that I never get tired of seeing: the end of daylight hours in Cabo. While the setting sun means the end of the day for some, nighttime activities are typically just getting started in town. 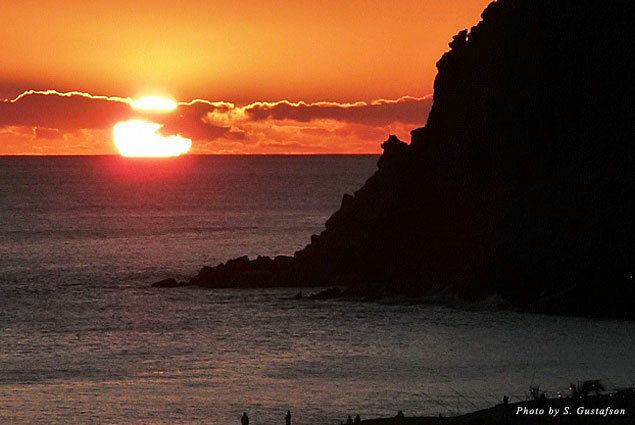 For me, watching that magnificent ball of fire sink into the Pacific is a beautiful way to celebrate the joy on being at Land’s End here at the tip of Baja California. 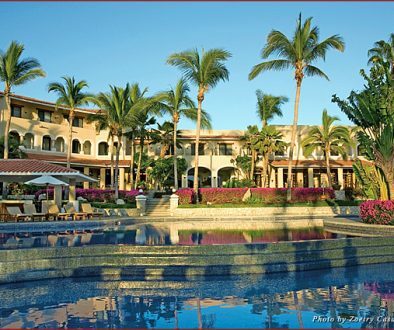 I hope you’ll plan to visit Los Cabos soon; perhaps you’ll see why I’ve been back every year for 13 years, and maybe you can even uncover some new gems of your own!